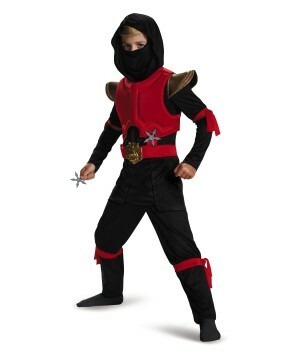 Includes black jumpsuit with red trim detailing and attached ties, red belt with foam throwing stars, and black hood and face mask. Available in toddler sizes Medium (3-4) and Large (4-6). 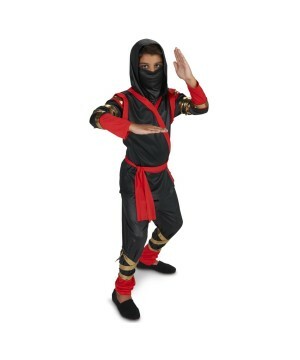 Stealth Ninja Baby Costume includes black jumpsuit with red trim detailing and attached ties, red belt with foam throwing stars, and black hood and face mask. 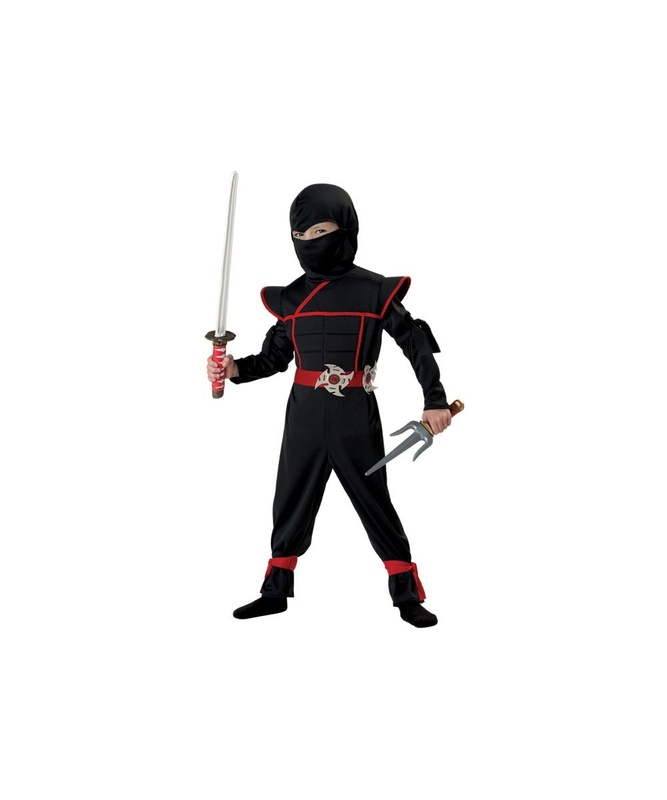 This cool Ninja Costume for boys is available in toddler sizes Medium (3-4) and Large (4-6). 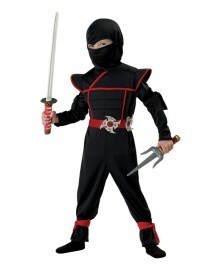 This ninja is ready to fight!Please note swords and socks are not included. 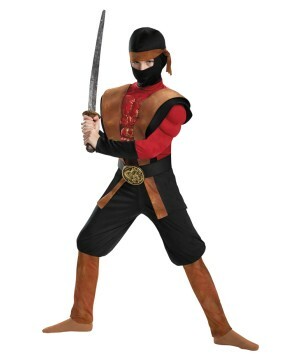 The Ninja Plus Size Stealth Dragon Women Costume brings the tabard, belt, pants, gauntlets and mask. 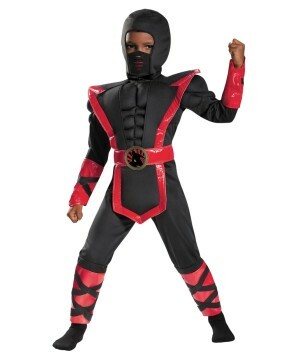 The Black Stealth Ninja Woman Costume brings a jumpsuit, wrap around ties, waist sash and face mask. 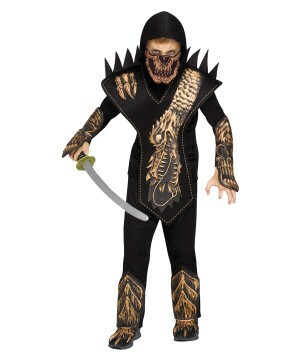 The Red Venom Ninja Warrior Big Boys Muscle Costume brings a jumpsuit, hood, headband and buckle.